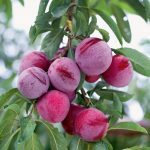 Prunus domestica, commonly known as common Plum, European Plum, Gage, Garden Plum, Plum, Prune and Prune Plum is a juicy and delicious fruits that belong to the genus Prunus of the Rosaceae family which also includes peaches, apricots, and nectarines. The plant is native to Southwest Asia. It is an ancient domesticated species, known only in cultivation, that is now cultivated in temperate areas worldwide for its fruit. 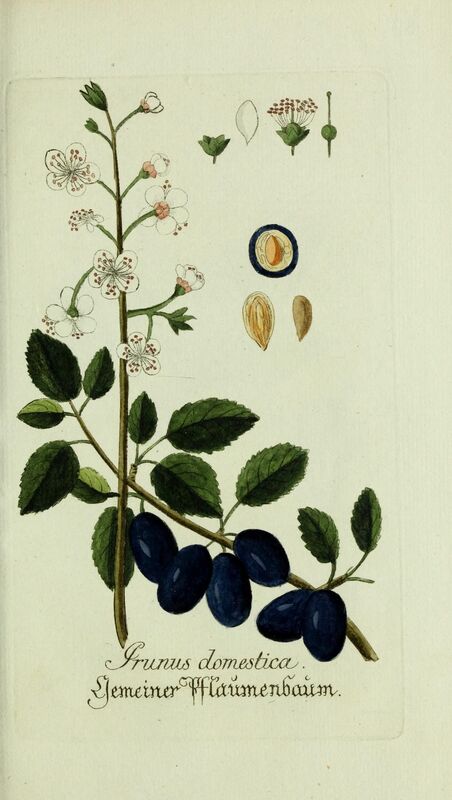 The species, which was first recorded in cultivation by the Syrians and then the Romans, and spread to western Europe during the Crusades, is likely derived from one or a combination of several Eurasian progenitors: cherry plum (P. salicifera); sloe (P. spinosa); and damson plum (P. insititia). It small to medium size, deciduous tree grow for its fruit. Plums are one of the most popular of the stone fruits. 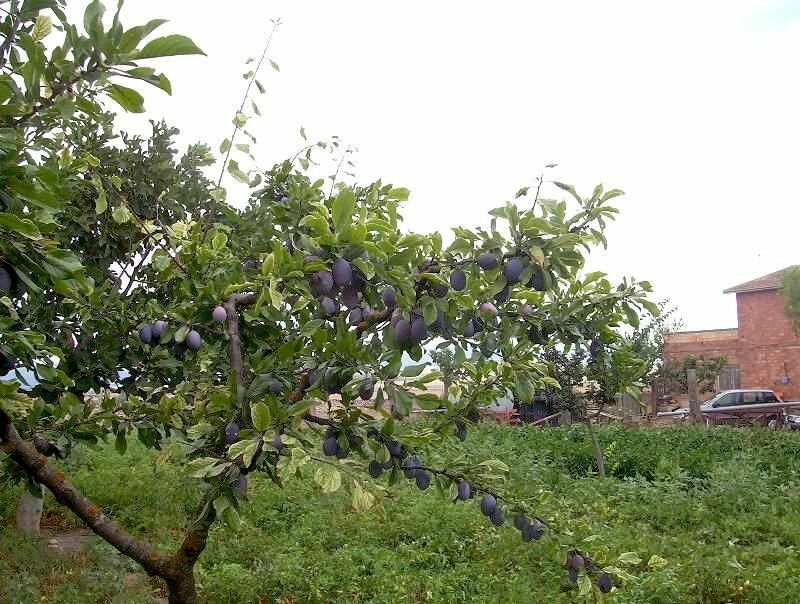 Plum is a small, branched, deciduous tree that grows about 9 to 15 m (29 to 50 ft.) tall. It prefers a sunny well-drained, fertile soil. Clay loams are tolerated as long as drainage is good. Sandy soils are also suitable mainly if they are attached on nematode resistant rootstock. The plant has reddish-brown, glabrous branches, unarmed or armed with few spines. 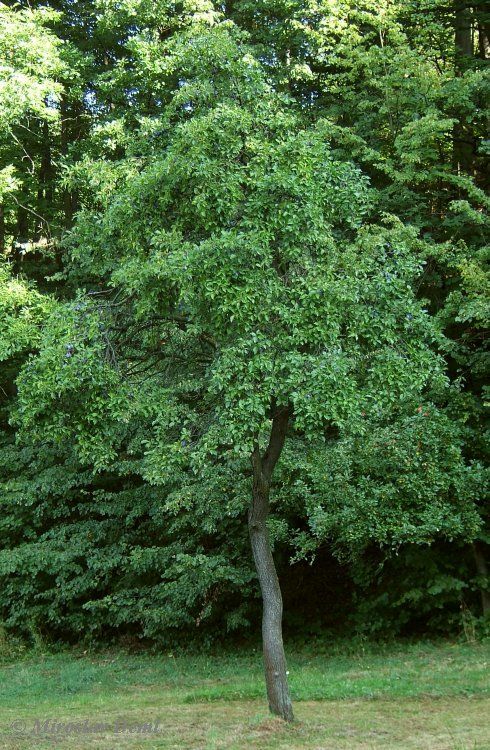 Branchlets are reddish-brown to greyish-green, and are pubescent. The plant has reddish to brown bark. 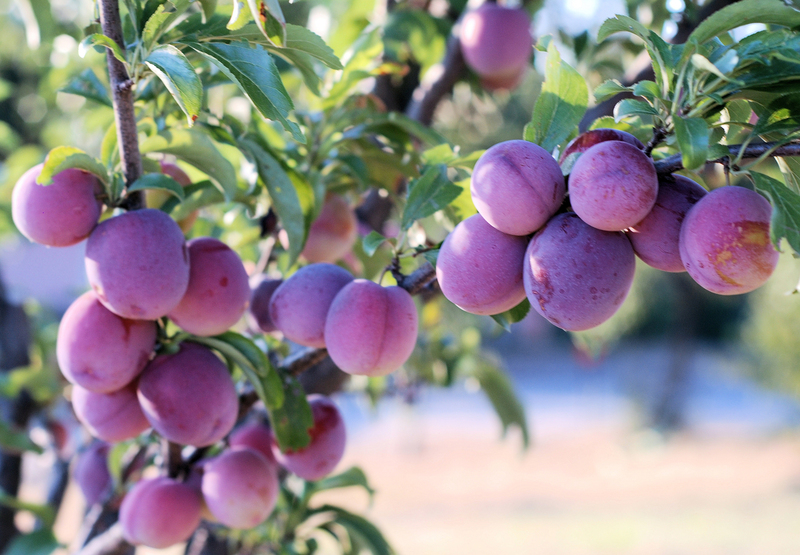 Plums are grown commercially in orchards, but modern rootstocks, together with self-fertile strains, training and pruning methods, allow single plums to be grown in relatively small spaces. Its early flowering and fruiting means that they require a sheltered spot away from frosts and cold winds for the better development of the plant. 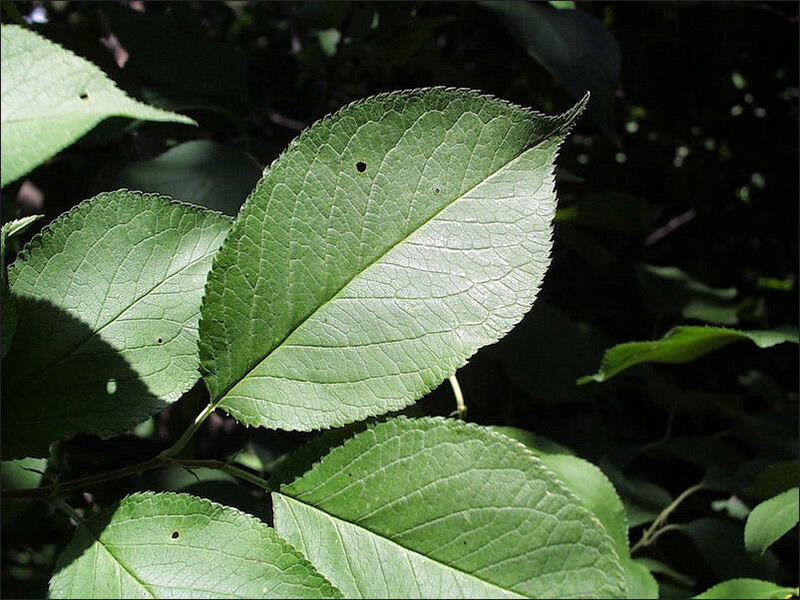 Leaves are alternate, deep green, elliptic to obovate, 4–10 × 2.5–5 cm, pubescent below, glabrous above, margins serrulate, apex acute to obtuse, base cuneate with a pair of nectaries, and with 5–7 pairs of lateral veins. Flower is solitary or in fascicles of 3 at the tip of branchlets, pedicellate (10–12 mm), 10–15 mm across. Hypanthium is pubescent; sepals 5, ovate with acute apex, imbricate; petals 5, white or greenish-white, obovate, apex rounded to obtuse, imbricate, on rim of hypanthium; stamens 20–30, in 2 whorls; filaments unequal; carpel 1; ovary superior, 1-loculed, glabrous or sometimes villous; style terminal, elongated. Flowering normally takes place from April. Globose to oblong, rarely sub globose fruit varies in size, but can be measuring about 5-6 cm in diameter with a hard, stony, flattened pit. The fruit is green when young turning to red, purple, purple black, yellow or golden yellow, often with a glaucous (white waxy) bloom on the surface. It is really an epicuticular wax covering and is also referred to as “wax bloom”. Skin is smooth yellow or dark red to purple or black. Inner flesh varies widely from creamy yellow, crimson, light-blue or light-green in color depending upon the cultivar type. The fruit has pleasant aroma and sweet and tart taste. Some varieties are usually sweet (dessert plum), though some varieties are sour and require cooking with sugar to make them palatable. 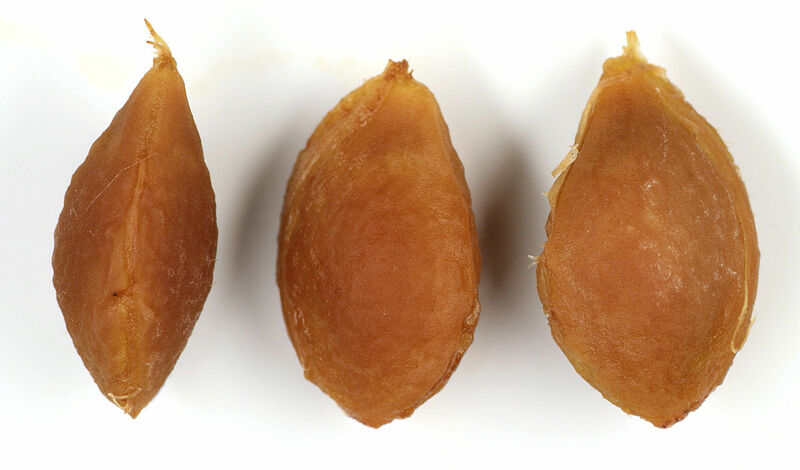 Like all Prunus fruits, it contains a single large seed, usually called a stone, which is discarded when eating. An average weight of the fruit is about 50-70 g.
Prunus domestica is supposed to have originated in the area of the Caucusus and Asia Minor. First findings of primitive cultivars were reported to occur in Central Europe about 500 BC, probably known already by the Celtic and Teutonic tribes. Subsequently the fruit was dispersed to countries in central Europe by the Romans. It is probable that high quality cultivars originated from southeast Europe after the middle Ages, and distributed throughout Europe by the seventeenth century. 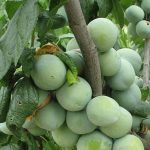 Plum is now cultivated globally in temperate to warm-temperate regions, mostly in Central, S and SE Europe, further on in N Africa, W Asia, India and North America, Australia, New Zealand, South Africa and in South America. European plums are definitely the most generally grown plums since they do not usually need cross-pollination to bear fruit as well as develop in a number of the environmental circumstances through the U.S. European plums are perfect for consuming fresh or even canning because they’re more gratifying and much less succulent than other kinds of plums. 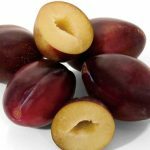 Several types, just like tasty, oval-shaped Seneca plums, are usually sweet enough to consume fresh quickly the tree while some, like the even sweeter purple Italian plums, are perfect for drying out. 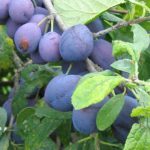 Stanley plums would be the most adaptable as well as widely-adapted variety and therefore are ideal for consuming fresh, canning, baking and cooking . Some other types consist of French as well as German prune plums as well as Reine Claude plums. 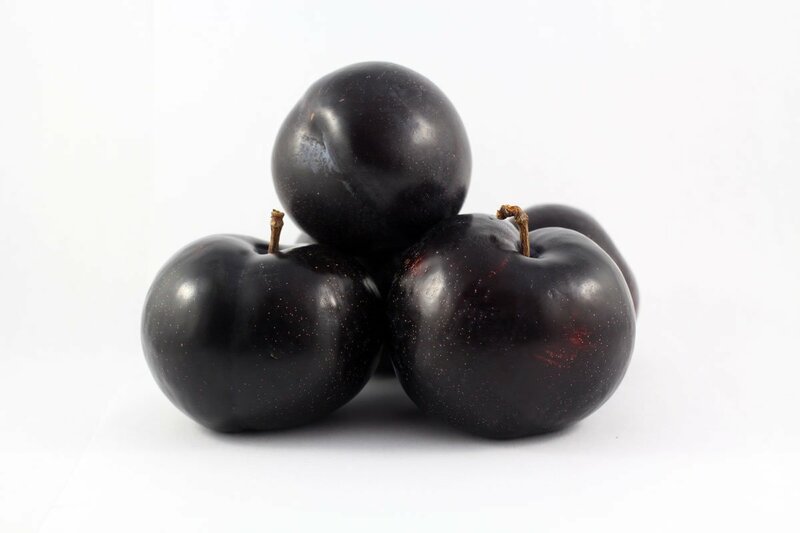 Even though a number of European plums, damson plums are believed a different kind of plum simply because they’re extremely sour, not really sweet just like various other European types. Due to their tartness, utilize damson plums to cook as well as protecting into jams as well as jellies. Types of damson plums consist of Shropshire and also French damson. 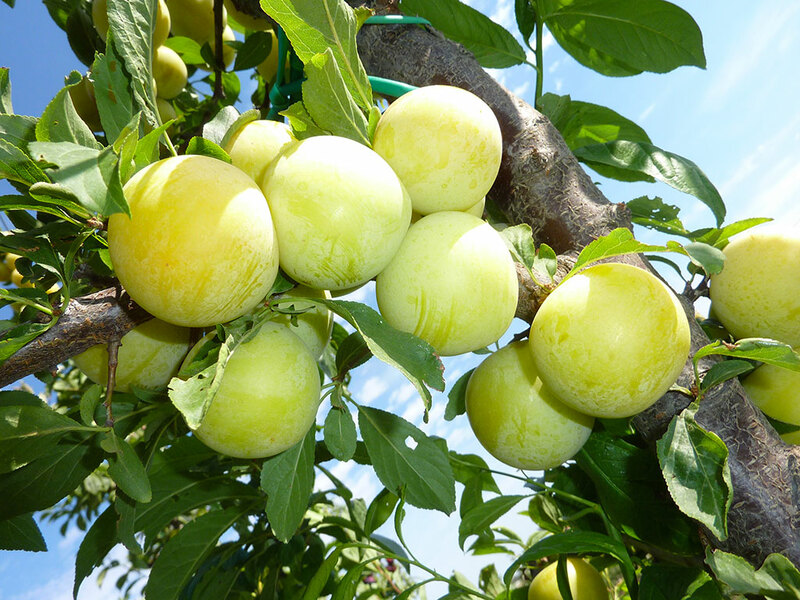 Sensitive Japanese plums, which usually originated from China, however arrived at the US through Japan, usually need cross-pollination along with other Japanese, American or even Japanese-American crossbreed types to bear fruit. Japanese plums additionally blossom at the beginning of spring but aren’t resistant of cold weather, which makes them more susceptible to frost harm. 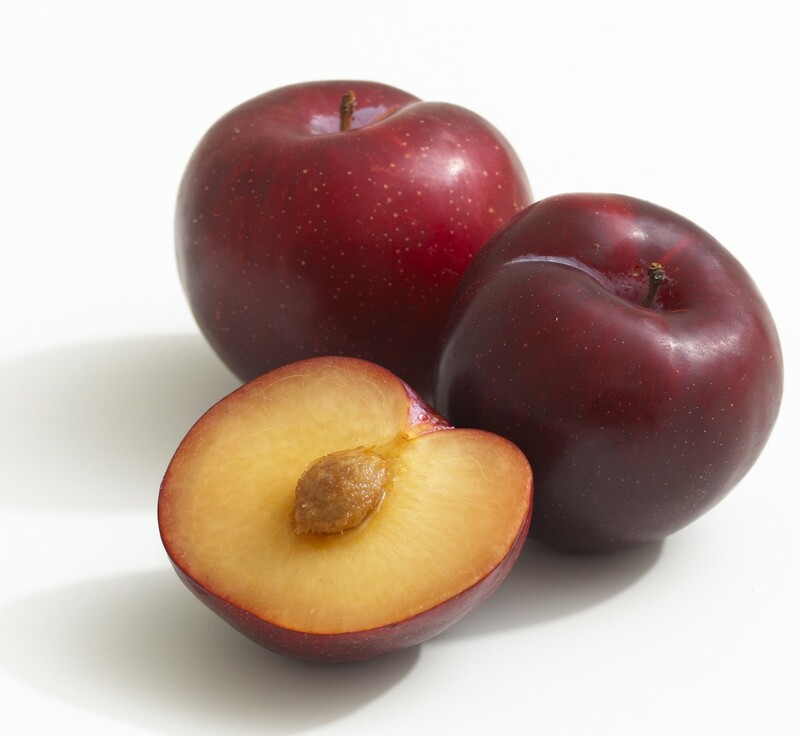 Starting from yellow to dark reddish purple colored, Japanese plums are usually bigger, juicier and fewer sweet as compared to European plums, causing them to be perfect for cooking as well as conserving. Even so, several types, such as dark red satsuma as well as the crimson-skinned, purple- and yellow-fleshed Santa Rosa, are perfect for consuming fresh or even canning. Some other types consist of Burbank, Ozark premier; Shiro, methley, as well as elephant heart plums. 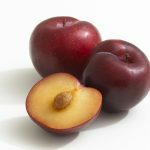 American plums, also known as bush or even wild plums, merge the hardiness of European plums together with the taste of Japanese plums but they are much easier to develop as compared to both. 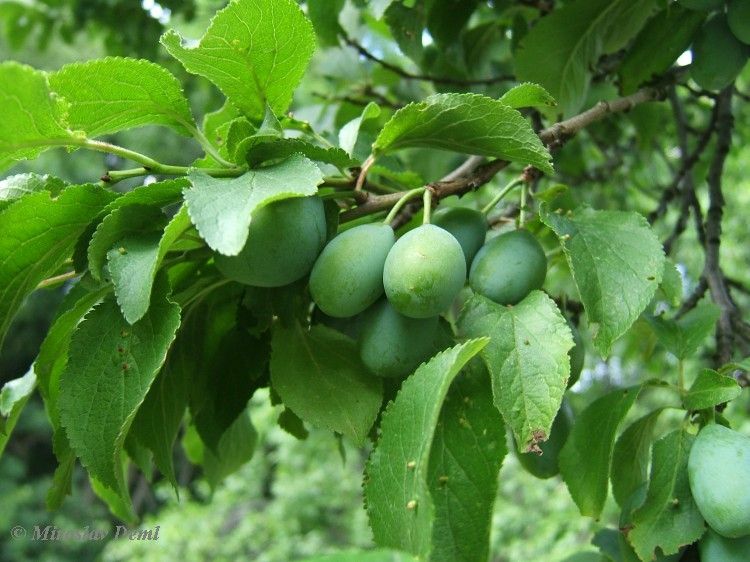 Even though indigenous to the eastern as well as central U.S., American plums can easily develop everywhere that European and Japanese plums cannot, which includes locations along with severe winter situations. 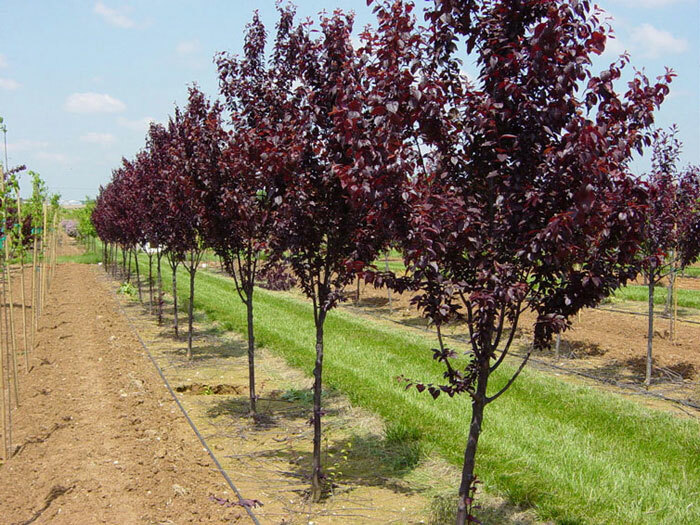 In spite of their versatility to some variety of soils along with other environmental situations, American plums are susceptible to disease as well as unwanted pests. 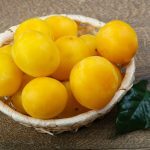 American plums are generally yellow or even red as well as, with their fairly sweet taste and higher pectin and also acid content, are ideal for protecting as well as producing jelly or perhaps jam but they are additionally great for fresh consuming. 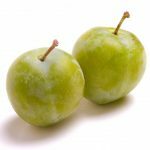 Greengage plums are a green plum common in France. 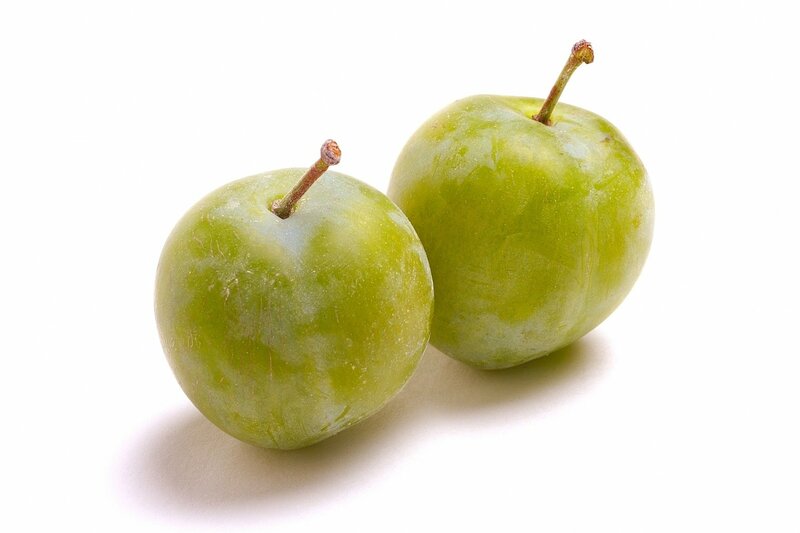 As you might guess, they fall into the European plum group. They have green skin and a greenish-yellow fruit that has a bit of a honey flavor to it. These are the small, sweet plums with a slight reddish blush used for making eau-de-vie in France. They are the sweetest of all plums. 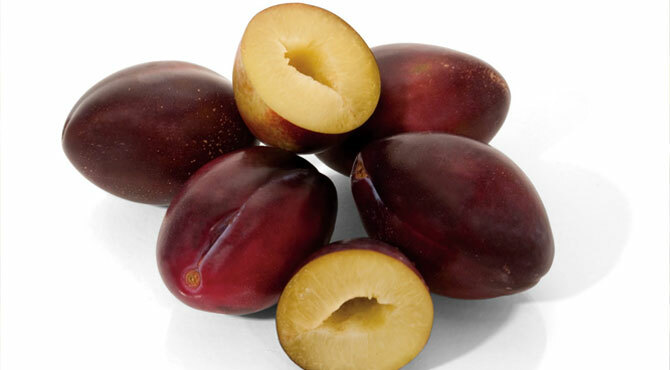 Red plums are so named because they have a bright red skin. Some, like the Santa Rosa, have amber fruit, but other red plums, like Simcas, have bright red flesh that matches their skins. The skin brings a tartness that balances out the sweet fruit. 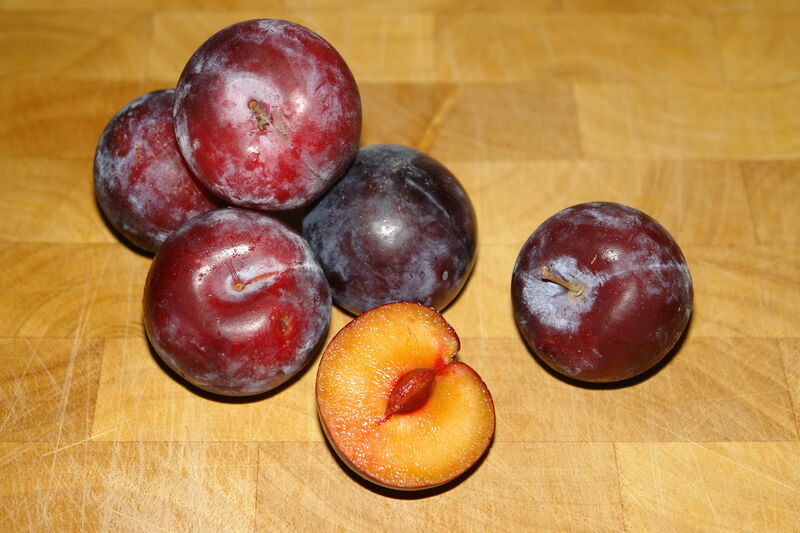 When ripe, these plums are pretty soft, so they don’t travel particularly well. Elephant Heart is another common red plum. Like all plums, they work well in jams or, Plum Chutney. 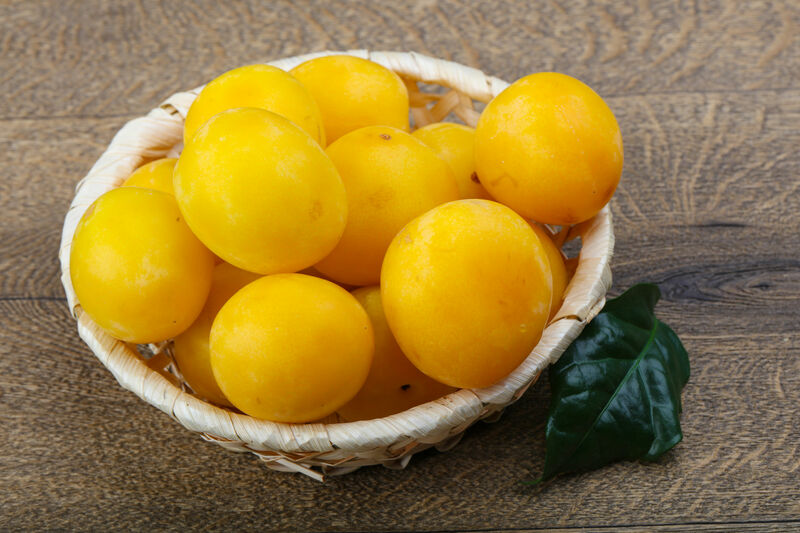 These plums are yellow inside and out. They are juicy with a nicely crisp fruit texture. Ripe ones will have just a slight give. It is a Japanese variety, whose fruit is big and aromatic and the skin is red when it matures. Yellow-orange and juicy flesh. It is a variety of the Japanese plum, with the rounded fruit, medium thick caliber, considering that it is a very early variety. It has red to dark red skin, depending on the maturity degree. This variety has yellow flesh, hard texture and good flavor. 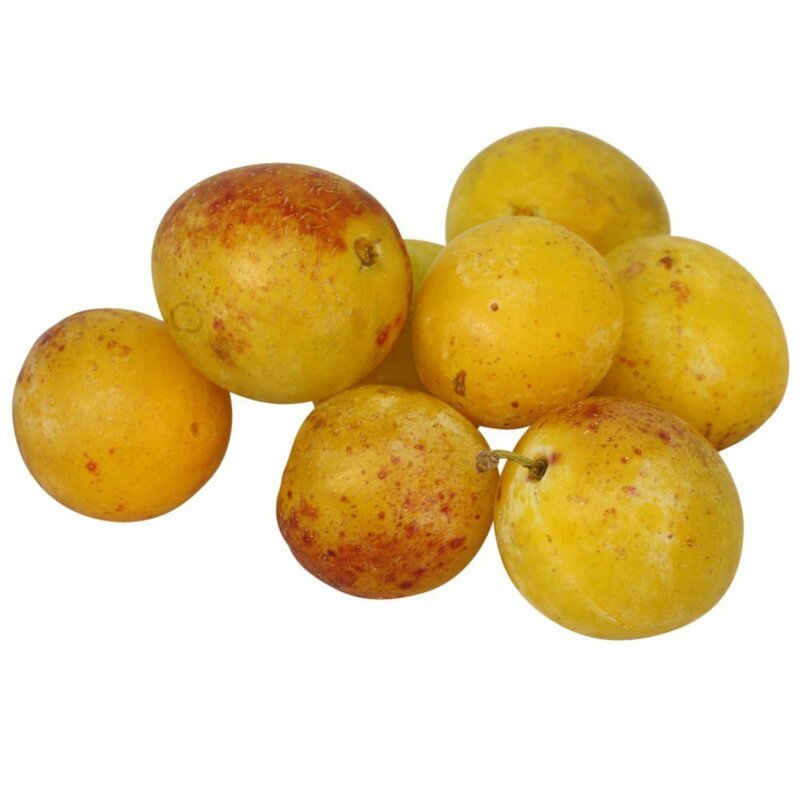 Thick, clear yellow fruit has thick and resistant bright skin, very juicy and pleasant pulp, belonging to the group of Japanese plum. It is cultivated in the U.S.A., France, Italy and South Africa, available from January to May and June to August. In Spain, the harvesting takes place in the middle of June. 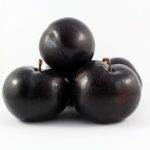 This variety has black color, big size, round shape, a bit flattened. The pulp is amber; the firm flesh is not adhered to the bone and has wonderful taste. It comes from the U.S.A. and the maturation period in warm zones is during the last week of June. 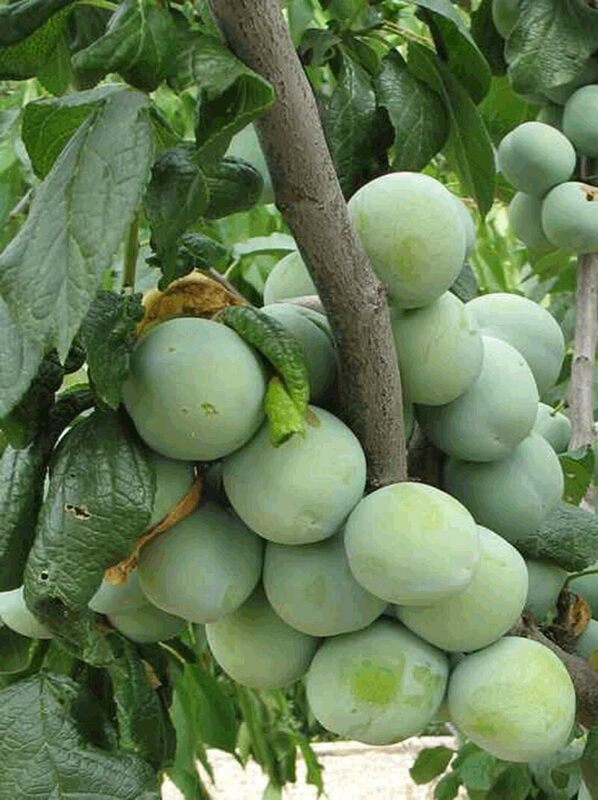 It is a Japanese plum with a big, round and hearted fruit. This variety has deep red skin and Amber yellow or pale carmine flesh, very juicy, sweet and perfumed, with a flavor that reminds of the strawberry. It is from America, but mainly cultivated in France, Italy, Spain and South Africa. It is available from December to February (South Africa) and from June to November (in other producing countries). In Spain, harvesting takes place in the middle of July. 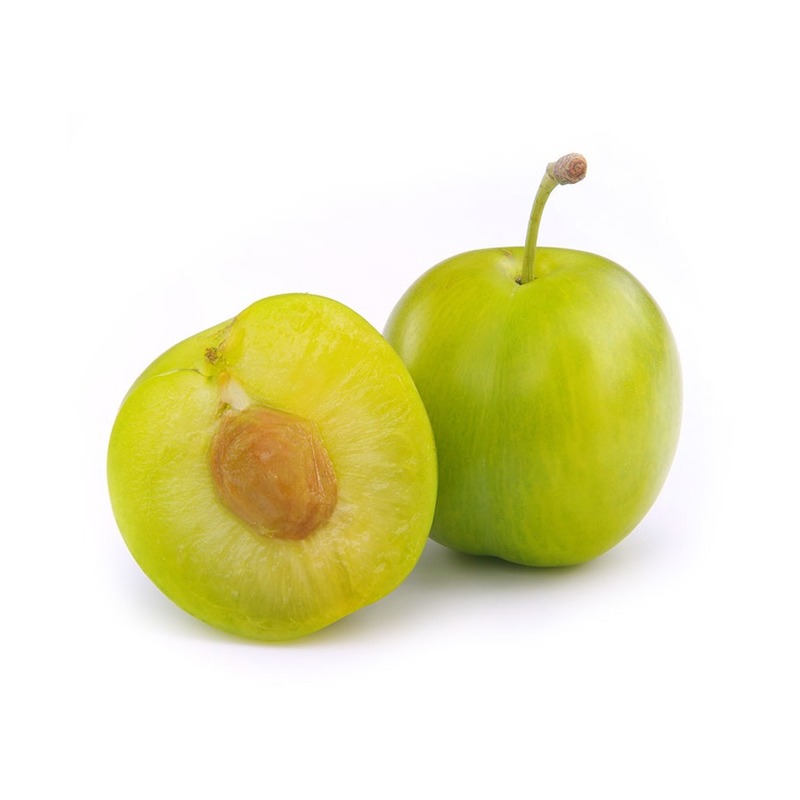 It is a European plum of medium size, rounded, green, thin and juicy pulp and has characteristic scent and flavor. The stone comes off easily. It is excellent for table consumption, stewed or tinned fruit and jam. It is produced in Belgium, France, England and Spain. In Spanish warm areas the harvesting takes place in July-August. It is a European plum that has golden pale green fruit. It has very juicy and pale flesh, not very sweet flavor. The stone does not come off very easily. It is one of the most widespread varieties. It is a Japanese variety with great size fruits, dark red color and even darker when ripe. It has sweet flavor and yellow flesh. Not very productive but very good fruit conservation. Maturation take place from the middle to the end of September. Plum consists of huge amount of vitamin C, along with other antioxidants, which help to maintain healthy, radiant and youthful skin. Regular consumption of plums helps in reducing dark spots and wrinkles due to the presence of anti-aging nutrients. 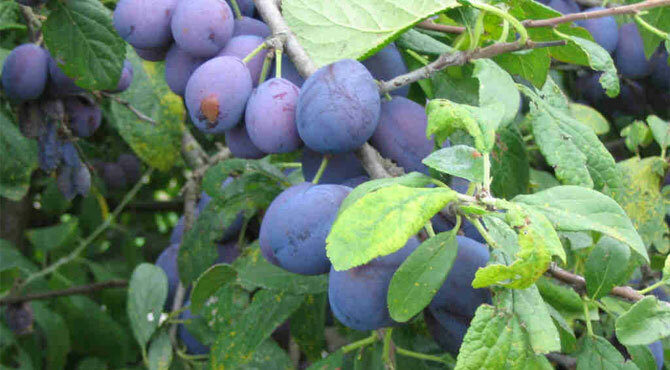 Plum extracts are used in various skin care products such as face wash and packs. Plum products are quite beneficial during pregnancy, due to the abundance of numerous vitamins and minerals. These beneficial components are vital for eye-sight, development of bones and tissues, and cellular health for the mother and the growing baby. Fiber content aids in preventing constipation and improves digestion. Inclusion of plums as a part of balanced diet helps in fighting various infections and maintains overall health. However, one should be careful regarding the choice of commercially available plum juices as they might contain high amounts of sugar. Prunes and prune juice are well known for their ability to relieve constipation. This is partly due to the high amount of fiber in prunes. One prune provides 1 gram of fiber. Fiber in prunes is mostly insoluble, which means it does not blend with water. It plays a role in preventing constipation by adding bulk to your stool and may speed up the rate that waste moves through your digestive tract. Additionally, prunes and prune juice contain sorbitol, which is a sugar alcohol with natural laxative effects. Vitamin C in the plum can help you get rid of dandruff. Hair follicles often get clogged due to dandruff and flaky skin. This damages the follicles and inhibits the hair growth, if not treated in time. 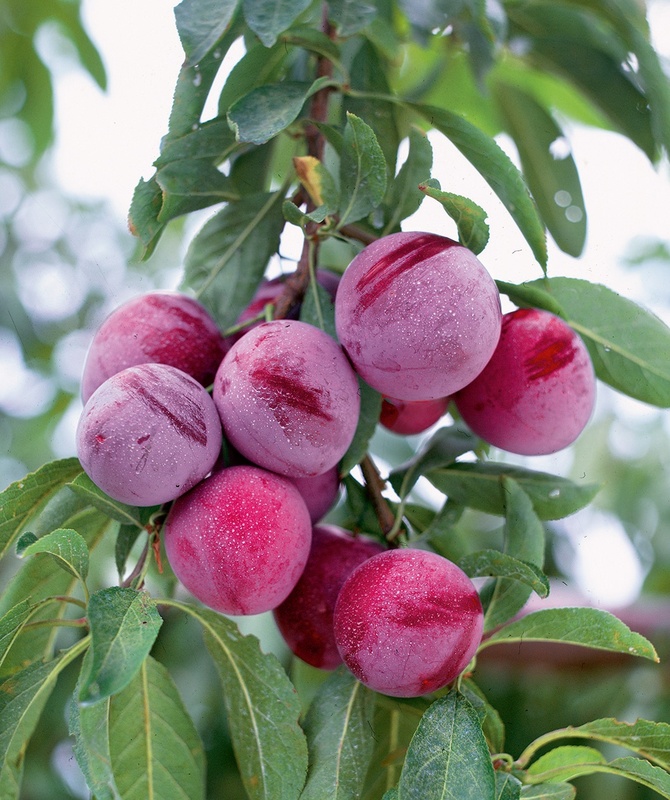 Plums can help fight the bacteria on the scalp and soothe the skin to ward off dandruff. This will get rid of the follicles debris and encourage new hair growth. Dried prunes are mildly laxative and are frequently employed in decoction. Dried fruit, known as prunes, is a safe and effective laxative and is also stomachic. Bark is sometimes used as a febrifuge. Plum blossoms have been historically used in the treatment of loose teeth, mouth ulcers, and sore gums. It is an effective ingredient in the manufacturing of mouthwashes and helps in curing bad breath and soothing sore throats. 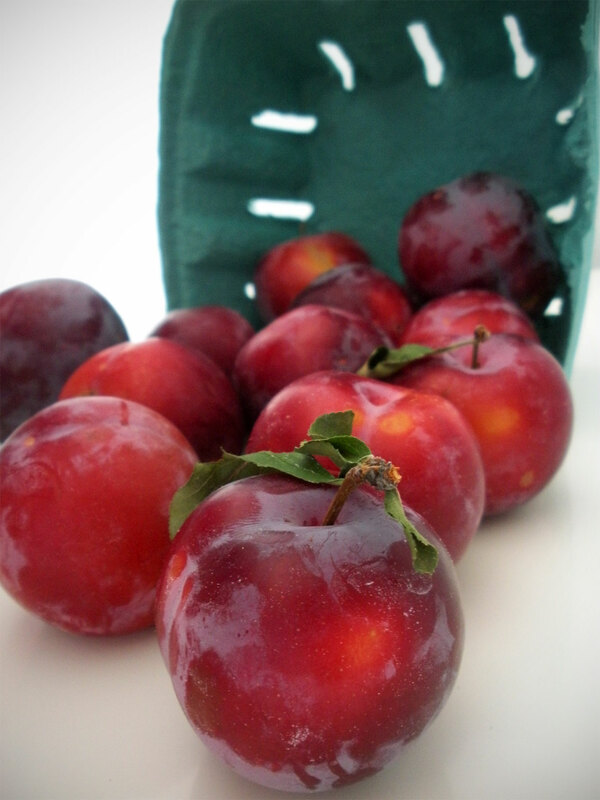 Heat Exhaustion: Soak 3-4 plums in water for 6 hours. Mash the soaked plum with one glass of water and filter it. Drink it twice daily. Sweating: Take following Herbs 25 gm. Agar wood powdered, 25 gm. sandalwood powdered, 25 gm. Indian Rose Chestnut powdered and 300 ml plum juice. Boil the plum juice and add all powdered ingredients in boiling juice. Heat till the mixture becomes thick. Apply lukewarm mixture over the affected part once a day. Plums can be found throughout the year but those with the best quality are usually seen between May and September. Pick plums with vibrant color while in the store and those still contain a bit of whitish bloom, suggesting that they haven’t yet been over handled. Steer clear of those that are soft, with cuts and bruises. 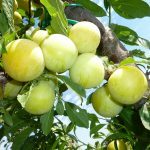 Ripen plums give to slight pressure and have sweet fragrance. 1. Store in room temperature till ripe, after that chill in plastic material bag. Wash and then leave entire or even slice in sections or even quarters and take away hole. In a soup pot, mix 2 3/4 cups sugar as well as 4 cups water, mix till the solution is apparent, and produce to the boil. Cool the syrup as well as put over plums. Put plums as well as syrup in protected air-tight pots or even heavy-duty freezer bags. 3. Freezer time revealed is perfect for highest quality only- food kept continuously frozen at 0° F will help keep secure forever. Ripe, plum fruit is sweet and juicy and it can be eaten fresh or made into jams, preserves, pastry, plum dumplings, and other foods. 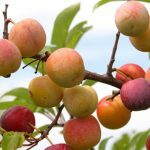 Plum juice can be fermented into plum wine; when distilled, this produces a brandy known in Serbia as Slivovitz , in Romania as Tzuica , in Hungary as Palink a and rakia or rakija in Albania, Bosnia, Croatia and Serbia. Acid plums are used for cooking. 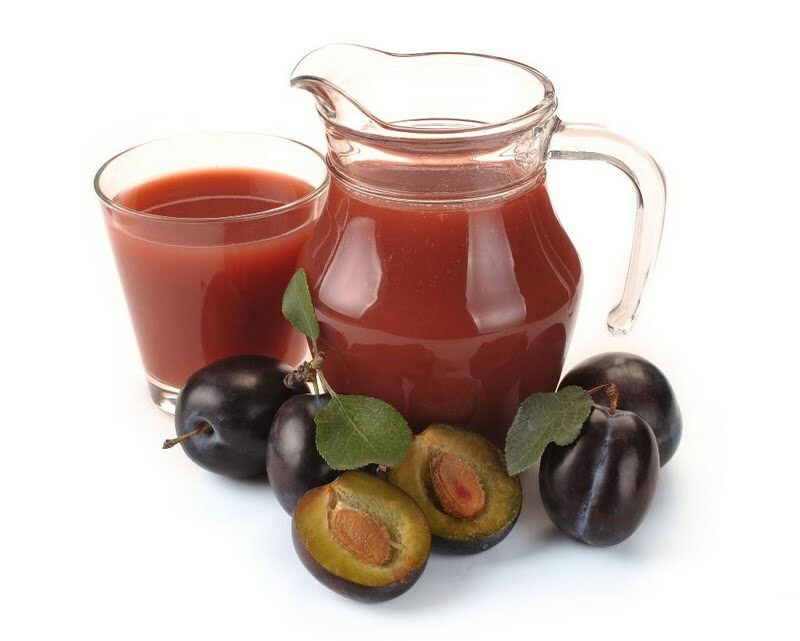 Prune juice is also a popular drink and is beneficial to health. Prune kernel oil is made from the fleshy seed kernel inside the pit. 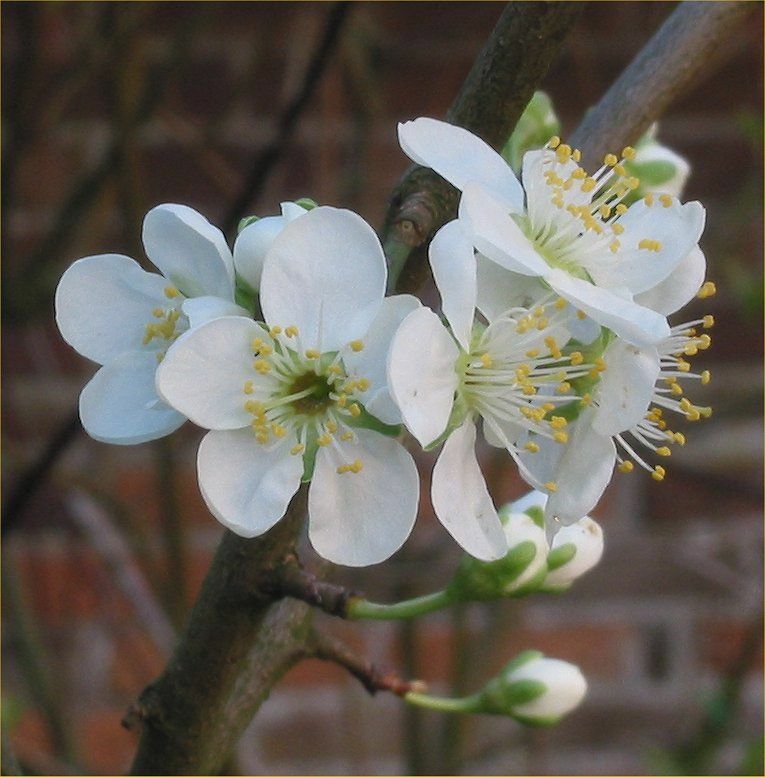 Plum flowers are used as garnish for salads and ice-cream or brewed into a tea plum-jam and dried prunes. 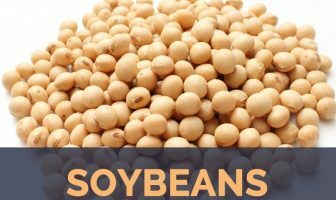 They are used in baked goods and puddings, or as a condiment alongside meat dishes. Prune juice concentrate works deliciously well as a filling for candies and confectionery products, and as a binding agent for cereal bars. Plum chutney or dip is famous in Indian cuisine and is served along with stuffed Indian bread. It is also relished as a condiment along with the meat delicacies. 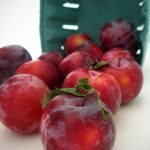 If you are getting bored of just eating the fresh plumps again and again, here are some ideas of how to eat plums in a fun way. Make this healthy dessert for your family and your kids will surely love it. You don’t have to make it from the scratch, just buy the store-bought pastry and start baking. Add some other ingredients like almond if you like it to make it nutty. You can just use almost any ingredient that you love as long as it is healthy. Use any vanilla cake recipe that you like and add some cut plums on top of your cake batter as the topping. You will bake the plums and the cake together and finally you will find them very soft and tasty. 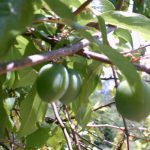 It is better to use Italian plums for the best result. This recipe is very simple and easy. You only need to grill your kale quickly to make it crispy and then mix it with ricotta cheese and plums. The plums have to be seasoned first with olive oil, salt, honey, thyme, vinegar and pepper to make them taste delicious. It turns out great at the end and you don’t even need to spend hours in the kitchen. After the cake and the tart, now you get the pie and it is just as good as those. Buy a store-bought pie crust to make it easy and prepare the plums for the pie filling. You need to toast them first to make them soft and that is why finding the appropriate recipe is needed. Kick chicken stew up a notch with the addition of prunes. Your close friends and family will probably be thankful for just how much structure as well as taste they add to delicious meals. Poach plums within red wine as well as spread along with grated lemon zest for a treat which will sit simple within your stomach. So innovative, but simple to make, you may simply select it over chocolate cake. Shred cooked chicken breast as well as stir in low-fat natural yoghurts. Include chopped plums as well as sliced up snow peas, and also fresh basil. It can make excellent sandwich filler for day meals. If you’d usually make use of jarred strawberry jam to fill up thumbprint snacks, the next time you’re going shopping search for plum preserves to test rather. To create your very own scrumptious topping for meats, or even to enhance a cheese tray, peel as well as mix juicy plums which has a little bit of cinnamon along with other spices or herbs (try out turmeric, nutmeg or even ginger). You have this awesome plum bruschetta that will really make your day. You can firstly toss the plums and cherries together added with vanilla bean seeds, sugar, salt and oil until they release juices. Have your toast spread with ricotta cheese and then topped with your plums. They are just so delicious and healthy. Mix freshly squeezed plum juice with whisked egg. Massage the hair roots with the concoction and leave it on the hair for about an hour. It works wonders for frizzy and dry hair. Mix plum juice and honey in equal quantities, and use the mixture on your face to get glowing skin. Try including the juice of this wonder fruit in your daily life to gain its best benefits and remain healthy, naturally. Green dye can be obtained from the leaves. Dark grey to green dye can be obtained from the fruit. Gum obtained from points of damage along the stem can be used as an adhesive. Ground up seeds is used cosmetically in the production of face-masks for dry skin. Semi-drying oil is obtained from the seed. Wood is hard, compact and is used for musical instruments. 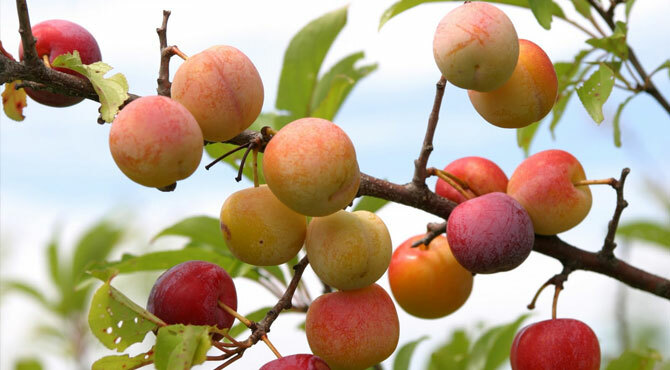 China is the leading harvester of plums, followed by the United States, Serbia, and Romania. 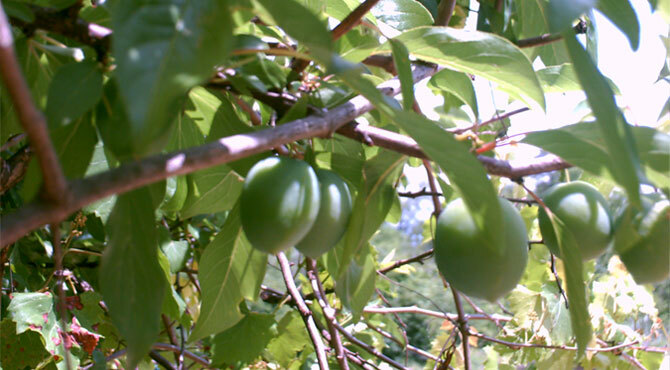 Serbian plum is the third most produced in the world. Plum blossom or meihua, along with the peony, are considered traditional floral emblems of China. 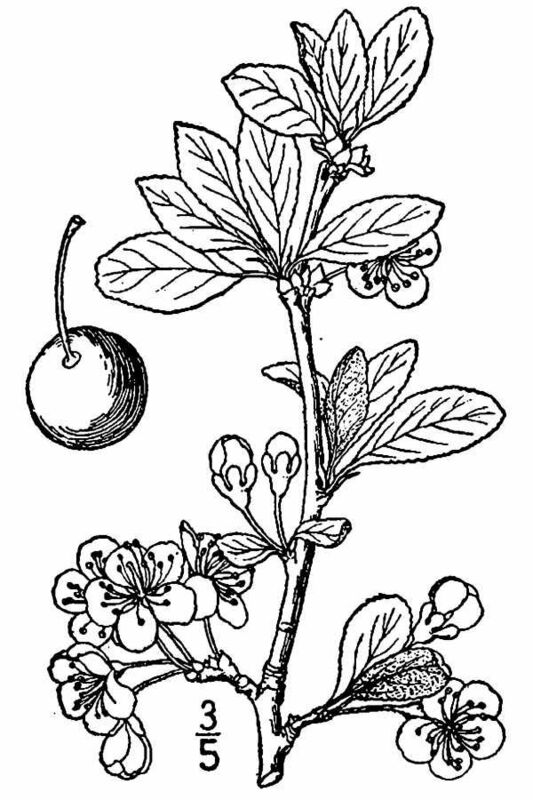 In central England, a cider-like alcoholic beverage known as plum jerkum is made from plums. Plums are sweet, but they still have some side affects you need to pay attention so that you won’t eat them too much. 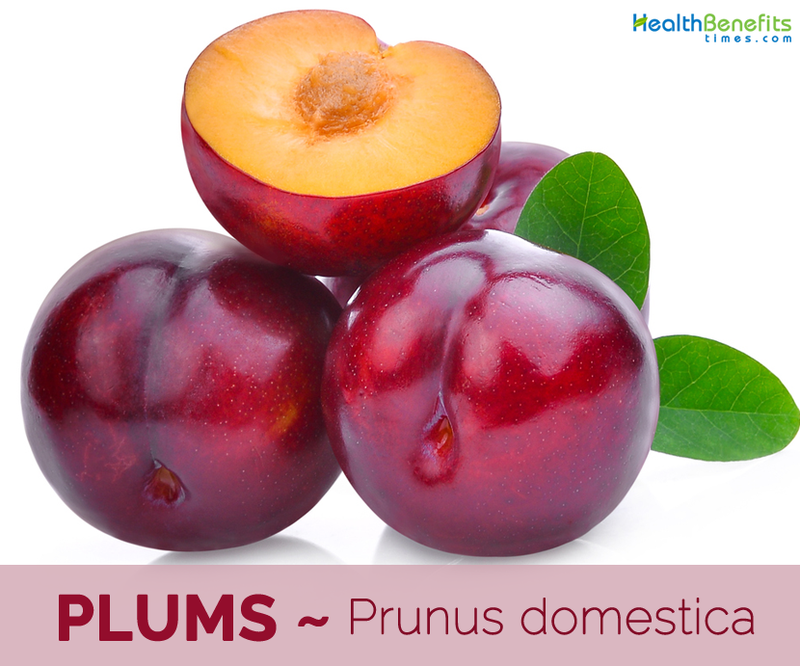 One of the plum benefits you can obtain is that they can lower your blood sugar. For people with high blood sugar this will be very great, but those who are going to have a surgery shouldn’t eat this. So if you are taking certain medications, confirm to your doctor first of whether or not eating plums is good for you. If you eat fresh plums, you might not get as much as calories contained in prunes. However, since plums are not available all the year, then you might have to eat prunes instead. There are around 240 KCal of energy in just every 100 grams of prunes. This is a quite high calorie amount from a fruit because people usually don’t expect that much. You eat fruit because this is healthy and low calories, so when it has that high amount of calorie, would you still include it in your diet? How could that healthy food increase your risk of having a kidney stone? The answer is because its high amount of oxalate. This makes your body cant properly absorb calcium and leave it into deposits. These two things lead to kidney stone that you must be aware of. So if you are prone to this, ensure that you check with your doctor first. Estonian: Ploom, Aedploomipuu, Harilik ploomipuu, Ploomipuu. Polish: Sliwka, Sliwa domowa (S of Sliwa has acute accent on top), Shliwa domowa. Soil Prefer a sunny well-drained, fertile soil. Clay loams are tolerated as long as drainage is good. Sandy soils are also suitable especially if they are grafted on nematode resistant rootstock. Branchlets Reddish-brown to greyish-green, pubescent branchlets. Flower Solitary or in fascicles of 3 at the tip of branchlets, pedicellate (10–12 mm), 10–15 mm across. Hypanthium is pubescent; sepals 5, ovate with acute apex, imbricate; petals 5, white or greenish-white, obovate, apex rounded to obtuse, imbricate, on rim of hypanthium; stamens 20–30, in 2 whorls; filaments unequal; carpel 1; ovary superior, 1-loculed, glabrous or sometimes villous; style terminal, elongated. Skin Color Yellow or dark red to purple or black. Flesh color Varies widely from creamy yellow, crimson, light-blue or light-green in color depending upon the cultivar type. Seed Single, smooth, flat, but hard pit. Seeds are inedible. Lifespan Average lifespan is 10 to 15 years, but under optimal conditions it can grow up to 20 years. Prunus domestica var. damascena Ser. Prunus domestica var. damascena L.
Prunus domestica subsp. oeconomica (Borkh.) C.K. Schneid. Calories 76 K cal. Calories from Fat 4.14 K cal. Calories 418 K cal. Calories from Fat 5.94 K cal.